Songshan-Xindien Line, G08 Taipower Building Station. From Exit No. 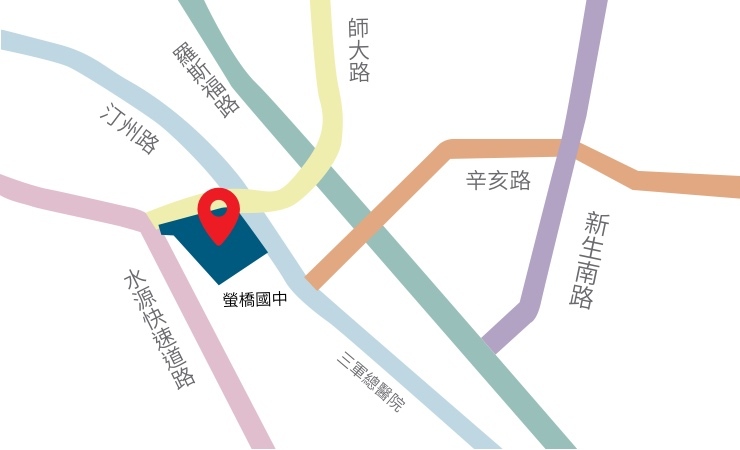 5, walk towards Shida Road to the intersection of Tingzhou Road, Section 3 (four-minute walk). The park can be reached via the underground walkway. Take the Brown-12 to Taipei City Hakka Cultural Park; bus stop is on the left side of the park. Take #671 or #673 to Taipei City Hakka Cultural Park; bus stop is across the street from the park. Take #253 or #673 to Taipei City Hakka Cultural Park; bus stop is directly in front of the park. Via National Freeway No. 1: Take the Jianguo Expressway to Xinhai Road. After passing Tingzhou Road, turn left at Shida Road and make a U-turn under the Shuiyuan Expressway. Via National Freeway No. 3: After exiting at Ankeng Interchange, take the Shuiyuan Expressway and turn right at Shida Road.